Polish off a plate of potato peel pie! …if you have the stomach for it! 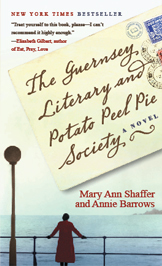 One of the requests we get most often is for a recipe for the potato peel pie of Guernsey’s title. And we’re pleased to announce that you can now find that recipe, as written by author Annie Barrows herself, right here!